MINNEAPOLIS – The Minnesota Lynx entered the WNBA Finals with a banner already hanging in Target Center and a loaded roster that had visions of becoming the league’s next dynasty. The Indiana Fever haven’t backed down from a fight all postseason, and it’s clear they don’t plan to start now. 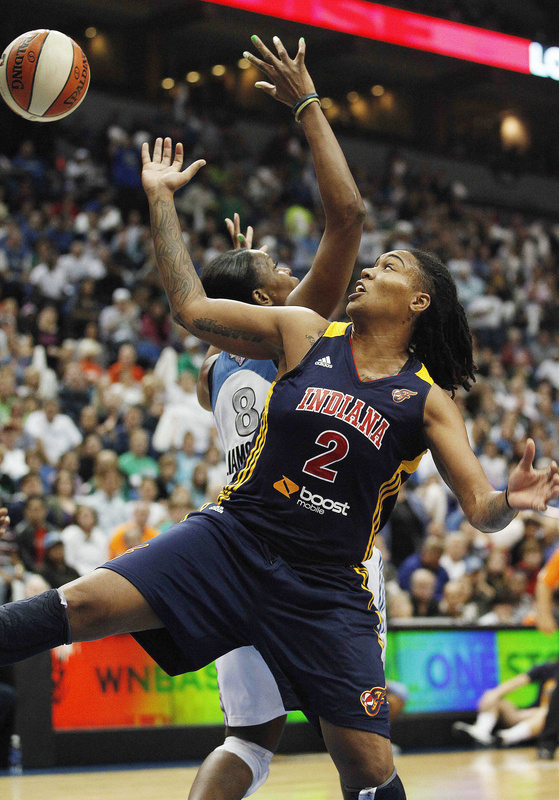 Tamika Catchings scored 20 points for the Fever, who played without leading scorer Katie Douglas because of a sprained left ankle. They scored 15 points after 17 Minnesota turnovers and outscored the Lynx 38-24 in the paint to become just the second visiting team this season to win at Target Center. “We came in here without any fear,” coach Lin Dunn said. Briann January of Lewis and Clark High School added 11 points and six assists and Erin Phillips scored 13 for Indiana. Game 2 in the best-of-5 series is Wednesday night in Minneapolis. Seimone Augustus scored 23 points and Rebekkah Brunson added 10 points and 10 rebounds for the Lynx, who are looking to become the WNBA’s first repeat champion in 10 years. Maya Moore had 14 points and 10 boards but made just 4 of 14 shots and Lindsay Whalen managed 12 points on 4-for-12 shooting. Now they’ve lost homecourt and trail in a series for the first time since their title run started last year. “For some reason we didn’t come out ready to play and they were,” Augustus said.